This is a library-loving blog challenge! For every commenter on this post between now and 27, I will donate $1 (one dollar) to my local library, which is Pleasant Grove Library. How easy could it be? You comment, I cough up the money, the library gets a gift! If you don’t know what to say in your comment, “I love libraries” will do. Note that my pledge is “per commenter”—so if a single person leaves 50 comments, that still only counts once! But you can do more by spreading the word ... please link to this post, tweet about it, and send your friends here so they can comment and raise more money. If you’re moved to make a flat-fee donation to your library, or to start your own challenge, you are quite welcome, and please leave that information in the comments. For a complete list of participating bloggers (and to visit other sites where you can help libraries just by leaving a comment!) visit the writerjenn blog at http://writerjenn.livejournal.com. What a great idea! I love libraries, too! Hey, that's my library, so here's a comment. HOLY COW!! I just discovered I wasn't a follower of your blog. How the heck did I let that slip past me. Well, I have rectified the problem. So pay up, girl. Hope you get a lot of comments. I'll pass the word. The library in Boise, Idaho says "LIBRARY!" on the building in big bold red letters. I love that. Books hold the real riches of the world and libraries are treasure filled spaces open to public exploration. You got yourself a comment and a new follower. What a Wonderful contest idea! You rock! What an awesome thing to do. I came from Utah Children's Writers and will happily comment to support your local library. Way to go! You are awesome! What a wonderful thing to do. Hip Hip Hooray for libraries! Holy Crow! I decided to check my blog to see if anyone had read the post and look at all you awesome library-loving people! This is a fabulous idea, Taffy! I love it! (and I love libraries). My five year old just discovered there are more Hardy Boys books than we have on our shelves & he said, "I guess we'll just have to go to the library so we can read the rest of them, Mom." So totally cute! I'm back to let you know that I've caught the bug. I reposted your challenge on my blog and also will donate to my local library for each commenter there. This is such a great idea. Hopefully you'll get some more followers and more comments from it. I love libraries. Every child needs access to a library with free books. This is great! Most libraries are in dire straights right now! And can use all the help they can get. Thanks for the library support and for the musical treat. Wow! What a brave woman you are. My budget is so tight right now, I'm not sure I could handle a project like this. But good luck to you! Thanks for participating in the challenge, Taffy! Word verification (honestly): "stingier." The opposite of you! “When people who can read and write start fighting on behalf of people who can’t, you just end up with another kind of stupidity. If you want to help them, build a big library or something somewhere, and leave the doors open.”~Terry Pratchett, Interesting Times. Yay LIBRARIES! I love this challenge. I just joined in at my own blog, too. Woot! So glad so many people are in on the challenge this year! I love libraries!!!!! I love libraries too! That's the reason why me & my 27 yr. old son love to Read. Library love! I'm doing the challenge at my blog, too, Holly Cupala, Tell Me a Secret! Cough it up! WE love libraries. I <3 libraries! Thanks for participating in the blog challenge!! Good luck. I read about this on Christine Bryants Blog. You ladies are awesome. Keep up the good work and good luck! I totally love libraries. They are a heaven on earth for me. A library without books is like a body without a soul. I know I heard something profound like that somewhere. I love libraries! I start taking my kids from the time they are babies and we go almost every weekend! Thanks for doing this. I'm thrilled to see how many people are participating! Libraries really need our support now during this tough economic climate. Hooray for Taffy for loving our library! Taffy! Nathan Bransford commented on your blog! (Like you didn't know. Hehe.) How awesome is that? Yay! Libraries! Thank you for your support! Utah Children's Writers sent me here. I can't believe I haven't seen your blog before. I've got to go exploring here. Why do I love working at PG Library? Because I meet people who become great friends there, people like Taffy! Every town, no matter how small, should have a library. Count my comment in for your library! And it's so nice of you to do this! I used to take my little red wagon to the library as a kid, fill it up with books, then return the next day. Bravo for supporting libraries! I got my first books from the Bookmobile. I thought it was the most amazing thing EVER. yay for libraries, yay for you! Thanks for commenting on my challenge page. So wonderful to see so many are helping out their libraries. Thanks so much for doing this! Reading always needs a boost. I couldn’t live without libraries. All this library love makes me so happy! Good luck with your challenge. Thank you for loving libraries and good luck on your challenge. What would we do without libraries? I don't want to find out. All the best with your challenge. Thanks for supporting a library. Thanks for supporting a library. We love books and libraries, so we're participating in the challenge as well. Thank you for supporting your library, it's definitely a worthwhile cause. 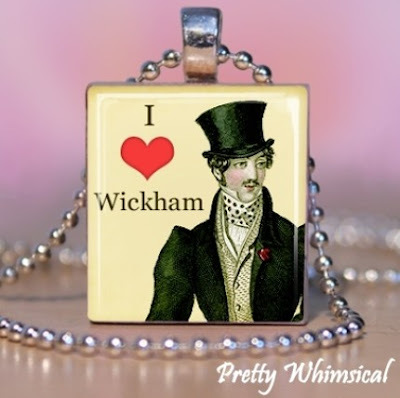 *Fire And Ice are giving away a New Infinite Days Inspired Necklace here, a I heart Wickham Pendant here (I borrowed the image because you HAD to see this necklace! ), Black Tears book mark here, Pixie Dust! Who doesn't need a little of that once in a while? *Christine Fonseca is giving away HOLLOW or HAUNTED on her blog. Don't miss the interview with the author. *From All Ruby Cakes win James Patterson's audio book THE POSTCARD KILLERS. *Anne Bradshaw is giving away by A QUESTION OF TRUST Carole Warburton. *Shannon Messenger is having a giveaway also. Check out her Grey Griffins MEGA Giveaway! *Nicole Zoltack is celebrating her 100 followers by giving away a three chapter critique or a one chapter critique. *ARC giveaway of HERO by Mike Lupica on Looksie Lovitz blog. *CUPCAKES! Wanna win a cupcake cookbook? MomsReview4You is giving one away! *Zoe Winters is giving away a Kindle to help promote her newest book, Blood Lust. Good luck! Do you have a one-sentence summary of your story? each other to the death." summary in the range of 10 to 15 words. ISCARIOT. Here it is: "Judas". whether they're interested or not. That's all. I love summer! I love having no schedule; the kids are home; we stay up late and sleep in; we take more walks; I read more; the pool is open. But I am getting no editing done on my WIP! None. My biggest excuse is that my laptop WILL NOT turn on. No matter how much I pat it or kiss it or whisper sweet nothings in it's drive, I get nada. I know I can get my jump drive and write on a different computer. But I have good excuses for not doing that: no schedule; the kids are home; we stay up late and sleep in; we take more walks; I read more; the pool is open. On the bright side~I just finished a book that inspired me to write more in depth for my WIP so I've been hand writing ideas/sentences/plots. Wait. That means more editing. *sigh* I guess I'll go for a walk after I eat a slice of watermelon. Then maybe we'll go to the pool. Reach ONE of Your Writing Goals in April! What Makes A Good Ending?